Tom Zetterstrom's Portraits of Trees represents the diversity and beauty of America's forest resources. In his 30 year quest across the breadth of the United States, Zetterstrom has gathered images of innumerable species from a wide-range of topographies and ecosystems. Zetterstrom places himself in the midst of the natural forest, the trees’ original context where the eternal and silent business of photosynthesis takes place. His singular dedication to trees imbues this endeavor with a unified artistic vision, sharpened by his very personal commitment to issues of local and global sustainability. Tom Zetterstrom's photographic career spans forty years. After graduating from Colorado College and attending Pratt Institute, Zetterstrom taught photography in Washington, DC in the late 60's. His work as a freelance photojournalist in the 70's and 80's ranged from the New York Times Magazine and Op-Ed pages to the Day in the Life of America. 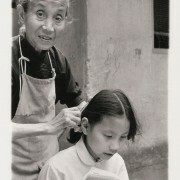 Zetterstrom's documentary portfolios include, White Russia, 1973 (in the Library of Congress archive), Faces of China, 1981 (sponsored and toured by the Yale-China Association), and Man and Machine, 1973-1976. These images will be added to this site in the Fall of 2008. 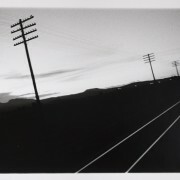 Photographs from Zettertrom's various portfolios are represented in 37 museum collections throughout the United States. 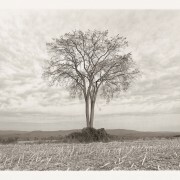 Tom Zetterstrom continues to add new images to Portraits of Trees. He is also a recognized lecturer on trees and an advocate for the preservation and reintroduction of the American elm. He has designed and planted hundreds of trees in the built environment. In 1999 Zetterstrom founded Elm Watch, a regional community forestry organization.